Update, Venue changed to Duke William, Burslem due to power cut. Apologies for the late notice. 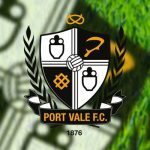 The next Port Vale supporters club meeting is to be Held in the Vale Social Club on Thursday 26th January, starting at 7:30pm, everybody is welcome, so spread the word!